We design premium quality and responsive WHMCS templates. 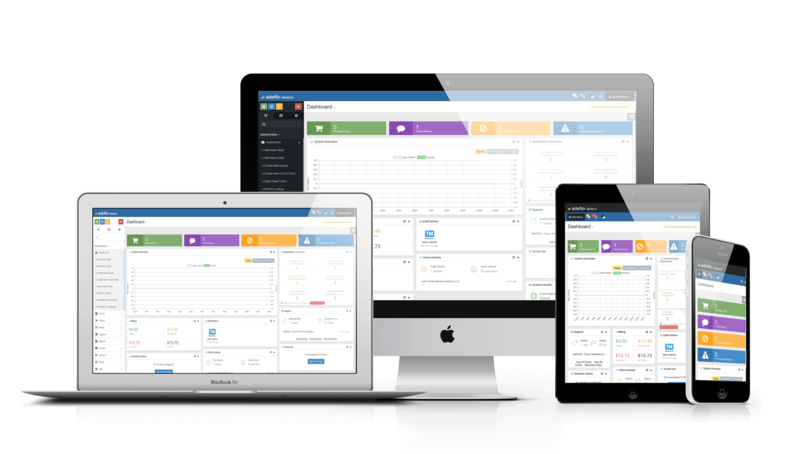 Our WHMCS themes, templates and Order form templates are affordable and easy to use. Latest News: Big Birthday Bash Discount - 18/03/2019 - Read More.. 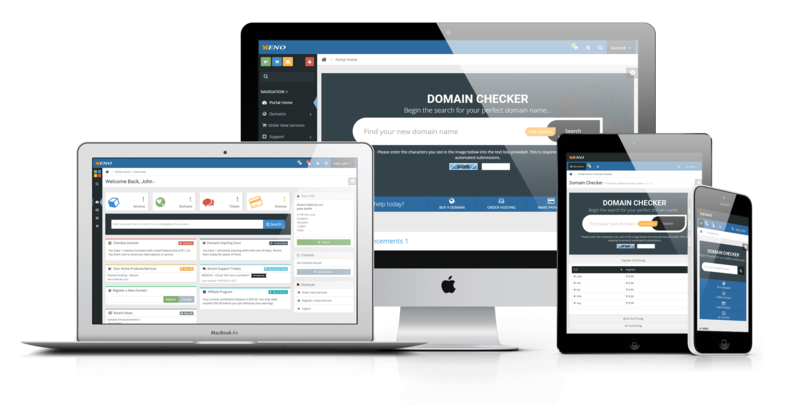 The "Clean" is a complete website template for web hosting service providers which is integrated in WHMCS client area template, Its included 7 additional pages which are included within WHMCS by using WHMCS additional page option. You just need to edit .tpl files for contents modification. Designed clean & beautifully, fully responsive & SEO optimized pages for all type of products & services as well as company profile. like Shared Hosting, Reseller Hosting, VPS, Dedicated Server & SSL Certificates. Take a moment to see the live demo of "Clean" WHMCS bootstrap template. Free support & updates for the first year. Can be renewed by purchasing our Support and Updates addon to continue receiving support & updates - Optional Renewals @ $30 for the year after that. The "Redo" is a complete website template for web hosting service providers which is integrated in WHMCS client area template, Its included 7 additional pages which are included within WHMCS by using WHMCS additional page option. You just need to edit .tpl files for contents modification. Designed beautifully, fully responsive & SEO optimized pages for all type of products & services as well as company profile. like Shared Hosting, Reseller Hosting, VPS, Dedicated Server & SSL Certificates. Take a moment to see the live demo of "Redo" WHMCS bootstrap template. The "Clouder" is a complete website template for web hosting service providers which is integrated in WHMCS client area template, Its included 5 additional pages which are included within WHMCS by using WHMCS additional page option. You just need to edit .tpl files for contents modification. Designed beautifully, fully responsive & SEO optimized pages for all type of products & services, Like Shared Hosting, Reseller Hosting, VPS, Dedicated Server. Take a moment to see the live demo of "Clouder" WHMCS bootstrap template. 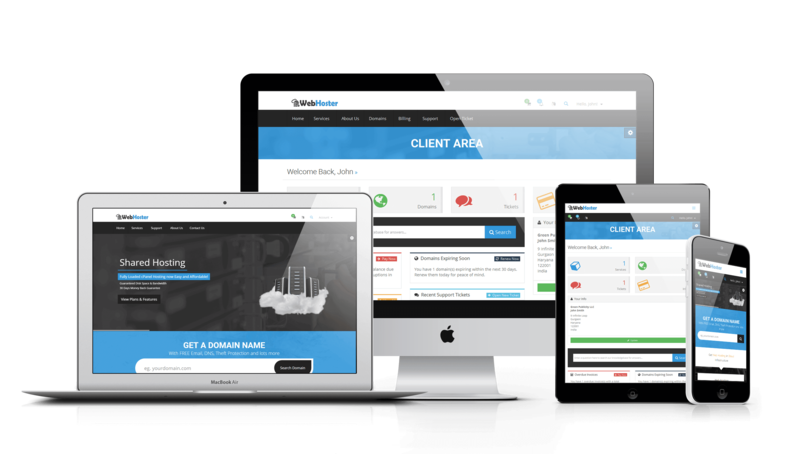 The "WebHoster" is a complete website template for web hosting service providers which is integrated in WHMCS client area template, Its included 5 additional pages which are included within WHMCS by using WHMCS additional page option. You just need to edit .tpl files for contents modification. Designed beautifully & fully responsive pages for all type of products & services, Like Shared Hosting, Reseller Hosting, VPS, Dedicated Server. Take a moment to see the live demo of "WeHoster" WHMCS bootstrap template. The "eNo" is a low cost beautifully designed fully responsive & unique WHMCS theme for WHMCS client area, which is included many type of layout options, separate login and logout pages and its included Its own order form. Free support & updates for the first year. Can be renewed by purchasing our Support and Updates addon to continue receiving support & updates - Optional Renewals @ $9.99 for the year after that. The "adeNo" is ready to use WHMCS admin theme, The theme comes with lots of options, like multiple layouts, fully responsive and the best looks. Take a moment to see the live demo of "adeNo". live demo. Search in menu, for easy access to all WHMCS options. Intelligent Search available for all devices. Detailed notifications shown directly in WHMCS menu. Quick tab access to sidebar within sidemenu for all devices. We have designed these order forms themes very user friendly, and according to latest trend of Web Hosting business. Does you offer free Installation? Yes, we can Install as per live demo for you. But don't do WHMCS setup, configuration and any type customization and modifications. Free installation is available only for one time. You must have WHMCS Latest version installed. Our installation service is available Monday through Friday 10AM to 5PM IST. How to edit dummy contents? For contents modification there are no any CMS Or admin panel - You need to edit .tpl files manually (just like normal HTML templates) by using any text editor (like Notepad ++). Comments are given in files itself for help. Our products are fully open source there are no any encoded files, You can customize using Bootstrap 3 components and styles. If you want to make changes to any of the CSS that is applied by default, we recommend making those customizations inside of the /assets/css/custom.css file. This file is included after styles.css allowing you to override any of the CSS defined within it and will not be affected by future updates to the WHMCS software. We strongly recommend adding your custom CSS rules to the custom.css file and not editing any provided css files directly as it will make updating easier..
How often do you release updates? We release regular updates to our products as and when required, either to ensure compatibility with the latest version of WHMCS or to introduce updates, bug fixes or new features. This support policy details the level of customer support you can expect to receive from us, including full details of how we provide customer support, what our support service covers, and what is not covered by our support service. If you have any questions regarding the content of our policy, please contact our support team. We reserve the right to amend this support policy at any time without any prior notice at the discretion of ThemeMetro.com. Any changes will be published here on our website. Can i install/use on multiple domains? No, Single domain license allow you to use our products on one domain only, If you want use it on another domains then you have to buy separate license for each. For more information please read our TOS/EULA agreement. Can i use WordPress Bridge? No, Our themes/templates are designed to use Standalone so they are not supported with WordPress Bridge, and cannot be integrated into other themes. While you can use only our premium order forms in all types of bootstrap 3.3.7 based themes/templates. Perfect for comparing a number of products/services. You should utilise the product features functionality to define comparable features/values, and ensure you have the same format/order for all descriptions of products within the group for best results. Perfect for all type of products which a short description and some features, The Feature Highlights are showing on mouse hover with floating effects. This visually appealing template allows you to display a comparison table of your products & services. Perfect for comparing a number of products/services. You should utilise the product features functionality to define comparable features/values, and ensure you have the same format/order for all descriptions of products within the group for best results. IMPORTANT: THIS SUPPORT POLICY IS A LEGAL AGREEMENT BETWEEN YOU (EITHER INDIVIDUALLY OR COLLECTIVELY ON BEHALF OF YOUR BUSINESS ENTITY) AND ThemeMetro.com. READ IT CAREFULLY. AMONG OTHER PROVISIONS, IT CONTAINS TERMINATION AND WARRANTY INFORMATION AND LIABILITY DISCLAIMERS. BY CLICKING THE “I AGREE” BUTTON AND USING THE SERVICES, YOU AGREE TO BE BOUND BY THE TERMS OF THIS SUPPORT POLICY. IF YOU DO NOT AGREE TO BE BOUND BY THESE TERMS, YOU MAY NOT USE THE SERVICES. CONTINUED USE OF THIS SOFTWARE SIGNIFIES YOUR CONTINUED ACCEPTANCE OF THESE TERMS AND ANY FUTURE CHANGES TO THEM. We provide customer support only from the support ticket on our website. We do not provide customer support via any other channels, including but not limited to telephone, email and social media. To request support from our customer support team, please create a support ticket to contact us. Before contacting us, please make sure that you have thoroughly read and understood this policy, with particular regard to what our support service does and does not cover. All of our products include 1st year of customer support and updates. At the end of the year you will have the opportunity to purchase an additional year of support and updates. If you choose not to purchase an additional year of support and updates, you will still be able to continue using the current version of your theme, however you will no longer be eligible to receive customer support or product updates. We only provide support for products purchased via our website at https://ThemeMetro.com, Our support team can provide assistance with the installation, configuration and use of our products. All of our code is fully open, unencrypted and editable, meaning that should for any reason our products provided as are do not suit your exact requirements, you are free to customize the code as necessary. Whilst you are perfectly welcome to do this, please note that our support team is unable to provide support or assistance with this process. We are only able to provide assistance with the installation, configuration and use of our products as provided in accordance live demo. We aim to fix any bugs or errors in our products as soon as they are brought to our attention. If you find a bug or error in any of products, please contact us to report the issue, we will try our best to fix the issue as soon as possible. We release regular updates to our themes as and when required, either to ensure compatibility with the latest version of WHMCS or to introduce updates, bug fixes or new features. We love to hear ideas from our customers on how we can improve our products to better suit their needs. Please contact us with any suggestions for improvements or new features. Most of addons/modules which are supported with WHMCS Six template should be working fine with our templates. Since the numbers of addons/modules are very huge by 3rd party vendors, we are unable to test each and every one. If you see any issue please feel free to open support ticket, we'll try our best but we do not guarantee because sometime we required attention/help from 3rd Party vendors.